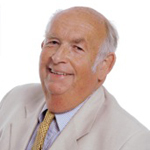 Is The Utility Warehouse Business a Credible Investment Model? 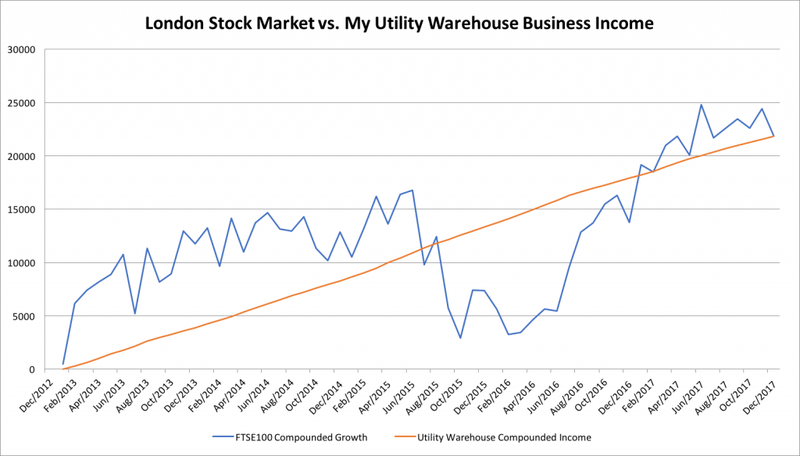 Read to the end for a full commentary on this graph of my Utility Warehouse business income for the past five years vs. £88,000 invested in the FTSE 100 over the same period. Ok – it may not be the catchiest title but this blog is significant. Let me take you back to 2010. I was in Croydon hotel at a Utility Warehouse business “Opportunity Presentation”, a presentation explaining the business opportunity. I had seen this many times before, and always liked to attend to accompany guests and to network with other Utility Warehouse Partners. Three quarters the way through the presentation, one of the co-presenters emphasised “The Utility Warehouse business opportunity is a saleable, willable asset”. My jaw dropped open – at least in my head. There must have been some kind of physical manifestation of my surprise because the presenter came over to me and said “That was a penny dropped moment wasn’t it?!”. It was. I realised that this passive income that I was building up was even more than the pension that I had hoped it would be. This would be an income for my children as well when I have left this earth. That was a whole paradigm shift in the way I viewed the Utility Warehouse business opportunity. It is possible to make money on the stock exchange but the statistics are against you. Approximately 97% of all professional fund managers (someone who gets paid to pick stocks & shares by clients who invest in their ‘pick of the bunch’ known as a fund) fail at beating the average growth of the London Stock Exchange over a modest time period. That’s right – 97% of all those people with highly paid jobs, champagne lifestyles and often arrogant attitudes. 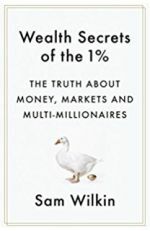 Those people who you see on TV, on the train going to “manage their hedge fund” (decide which, if any stocks & shares they are going to buy / sell that day), 97% of those people fail to beat the average. In my personal opinion it’s a mugs game. You are better off investing in a FTSE 100 or FTSE 250 tracker that compounds interest. That’s pretty much the conclusion of the absolutely superb book ‘Ouch’ by Paul Knott (see “further reading” below). 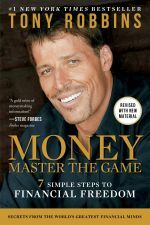 Tony Robbins famed for his inspirational courses, talks and books, decided to write his first book for 20 years; surprisingly he chose to write about money and his book “Money, Master the Game” is quite a tome at 688 pages. 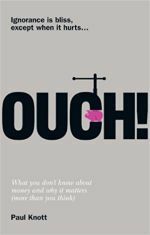 The conclusion of his book is ultimately the same as “Ouch”, the only differences being that Tony’s book has a more US bias and is, a bit of a sales pitch for his ‘special fund’. With some diligent work and research, it is possible to skew the risk / reward ratio sufficiently to make some share dealing worthwhile . The AIM (Alternative Investment Market) is a collection of companies that are not quite at the level required to be on the LSE. Some are high-risk start-ups, some are solid, well established companies. 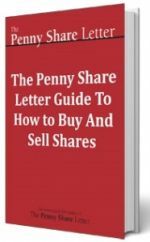 I personally subscribe to The Penny Share Letter by Agora Financial which effectively does all of the research for you and gives one recommendation (as a minimum) per month. The results are impressive. They aren’t all winners but the vast majority are. There are a few share dealing platforms out there, I personally use IG as they are pretty cheap and cater for the home-investor. I believe there are some disruptive trading platforms coming online with lower costs but I have not experienced or researched to date. The only other method of investing in the stock market that I do rate is a relatively short term method known as ‘binary trading’. Agora Financial produce a guide on how to do this effectively. It does take some groundwork and a fair time investment but, if you are interested in playing the stock market – this is the way to do it in my opinion. The crucial benefit of binary trading is that your losses are much more limited that with traditional share dealing. You are effectively betting that a certain share / currency / asset (gold etc) will hit a certain value in a particular timeframe. Your exposure is therefore limited to your bet. You don’t have to actually buy the asset which, for the same return would give you much greater exposure. I use binary.com as it is simple, straightforward and very cheap. Safe as houses, but boring as it gets when it comes to real returns. Except for the tracker ISAs, which over time will give 10-12%. Enough said. In the UK a FTSE 100 or FTSE 250 tracker with the profits reinvested to compound is one of the very best ways of investing your hard earned cash. 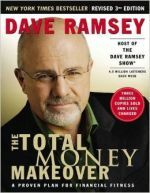 The number one way of making money – in my opinion, based on the evidence of those who have amassed great wealth is: property. Bricks and mortar. It is consistently the most solid, lucrative and leverage-able form of investment there is. Alan Sugar – think he made all his money from his technology companies (Amstrad etc)? Think again – the vast majority of Allan Sugar’s wealth comes from rental income on properties that he rents out and on properties that he has sold for a profit. McDonalds – if you have seen the film ‘The Founder’ you will know that they are not a food company, they are a property company. 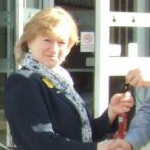 McDonalds buy the land and the franchisees rent the premises from them. This is their passive, predictable, unfluctuating income stream. The burgers are gravy (pardon the pun). The classic model that most dabblers tend to approach. Some are very successful at it. In my personal opinion it is generally a rather short sighted approach. Property automatically appreciates in value all the time. It took less than two years for property values to recover from the 2007 crash. As soon as you sell, you lose the leverage that the gain in value gives you. That said, there is always a right time to make the break and sell up. Once a very popular way of gaining a modest passive income, this method has massively dropped in popularity following the government’s recent tax changes in the UK. It is still possible to make money using this method but it is now a tougher proposition and the returns are modest. The one exception to this currently appears to be the lucrative central London market. Property prices are high, but so are rents. Rental usage is very high in London due to the transient nature of the people living there. Therefore demand is high and rental rates are comparatively high. There are some developers offering a service where you can part-invest in a development. The idea is that you re-mortgage your house, take £20k-£50k out at (current mortgage rates) around 2-5% and invest it into a buy to let London cherry-picked development. The returns are around 12%. The benefit of this model is that the returns come relatively fast – within a year or two and you can do it with no funds (re-mortgage). My Property Expert is a company offering this service. Disclaimer – I am professionally linked to Eyeedul at My Property Expert. This method is also subject to the new tax laws in the UK, however it is sufficiently profitable that this is not a problem. When I go into property investing, this is the route that I am planning to take. You buy a property, get permission from the council to create an HMO (not usually too difficult – there’s often high demand), convert it into bedsits and let them out individually on a flat rate – bills included. The market for this type of accommodation is growing. Two obvious users of HMOs: Students and DSS. Students pay their rent termly, in advance – they’re fantastic payers. DSS with solid benefits make perfectly good tenants as long as you conduct your due diligence. And of course the growing market of single professionals. 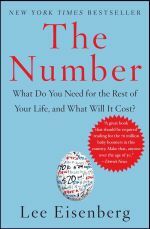 Einstein famously said that “Compound Interest is the most powerful force in the universe” and he was right. Reinvest your gains, have a plan about what level you are going to get to. Of course there are other methods of investing: foreign exchange trading, bitcoin etc (all of the ‘blockchain’ crypto-currency market is going to plummet in the next 2-3 years in my opinion), p2p lending / crowdfunding etc. These and similar methods are too risky to be within the scope of this article. Own property, leverage it (re-mortgage), own more, convert to HMO, rent rooms out. Wait for the value to raise, wash, rinse, repeat. Put the profits into a FTSE 250 tracker. Set proper life goals and plan your financial activities around these. Your wealth will grow faster, the more you reinvest but, of course the point of all this is to enjoy your money. Here’s the second “penny dropped moment” that I got from that seminar in Croydon. 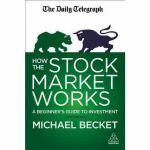 £88,000 invested in a FTSE 100 tracker with a 0.5% fee would give you a monthly income of £355. If you go out and gather 120 Utility Warehouse customers, that will give you the same return, plus bonuses along the way. I worked consistently gathering customers for the first 3 years of building my Utility Warehouse business, that got me to around 120 customers. I didn’t break any records, qualified for very few of the incentives that they offered but, doggedly and persistently I drove the business forward a couple of evenings a week and sometimes half a day at weekends. That gave me an income equivalent to having £88k in the bank. You can read an earlier blog that I wrote on the income that my Utility Warehouse business generated from day zero here. With that information – you have a balanced summary to make a decision for yourself. The rest, I leave up to you. 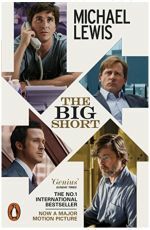 A cynical look at the current system of hedge fund managers and credit card cancer that the western world is currently suffering from. Hard hitting and full of helpful action points. 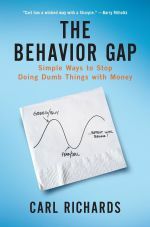 A challenging book, that questions whether money itself is the real goal. Very deep and thought provoking. 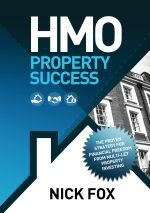 A comprehensive overview of how to get started in the HMO industry. Very actionable. Good grounding on the basics. Stay away though – it’s a mugs game. 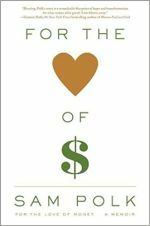 Seriously good book on financial goals – told as a (true) story. Recommended in “Ouch”, this is the only magazine that I subscribe to. It is very punchy with zero hype, very, very useful. Aimed at helping those in personal debt to get out of it. Very hard-hitting and effective. Highly recommended. 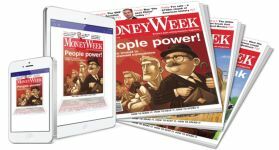 The views and opinions expressed in this article are simply the opinion of the author and do not constitute financial advice either explicit or implied. Always seek the advice of a professional, qualified financial advisor before making an investment decision. Utility Warehouse Partners: 5 Surprising Reasons Why Women Make A ..
2 Customers In 2 Days – How to Make Extra ..